My kids love these cookies. We make them in the fall, especially around Thanksgiving and Halloween, but they would be just as good on a rainy summer day. 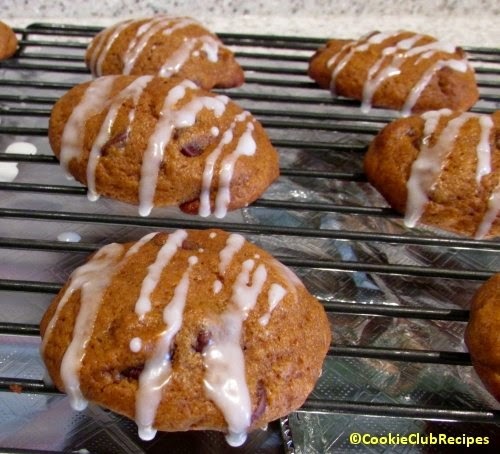 Using milk chocolate chips really give them a wonderful flavor with the pumpkin and other spices. They have the same density as hermits and just as good! 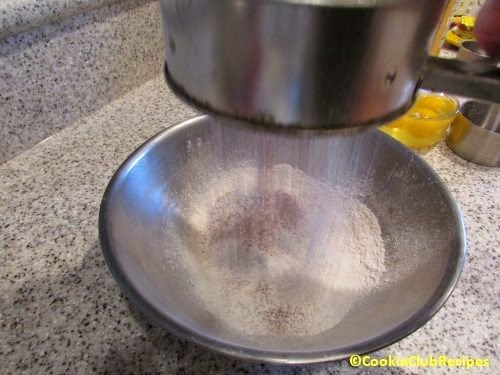 Sift together flour, salt, baking soda, cinnamon, cloves, nutmeg, and ginger. Set aside. 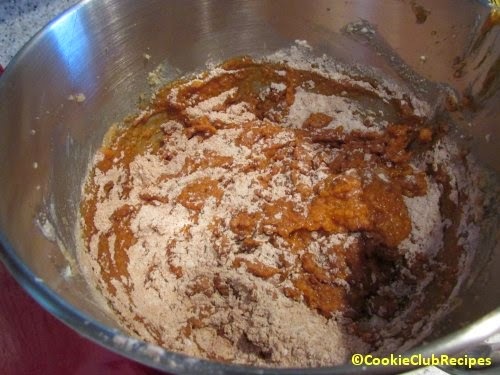 In a large mixer, cream together butter, sugars, eggs, and pumpkin. Stir in dry ingredients, one-third at a time, until well combined. 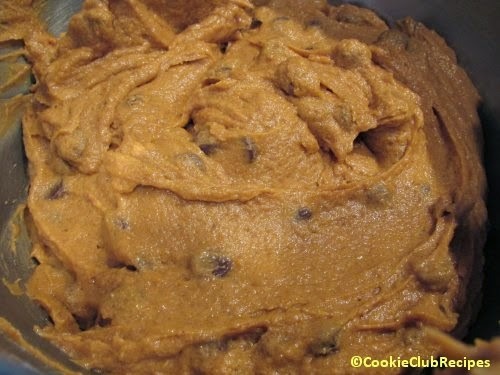 Add vanilla and chocolate chips, stir. 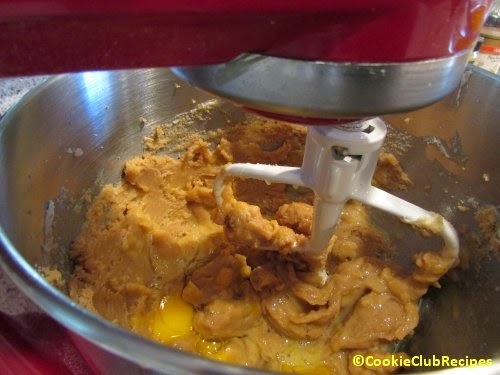 Tip: Batter will be very soft, however, chilling this dough is not necessary. 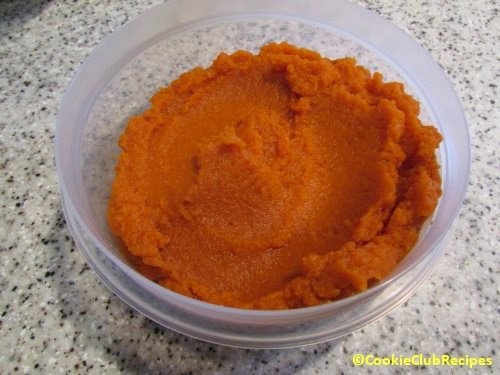 Cookies will hold their shape during baking. 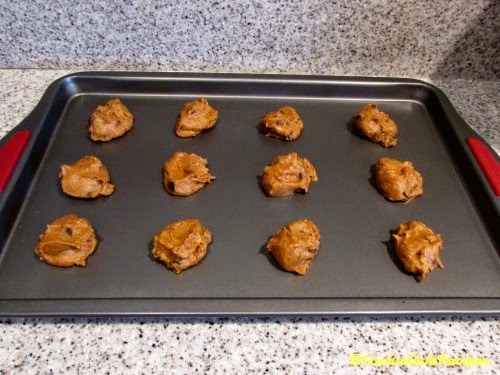 Drop by spoonfuls onto lightly greased cookie sheet. Drizzle with icing if desired. 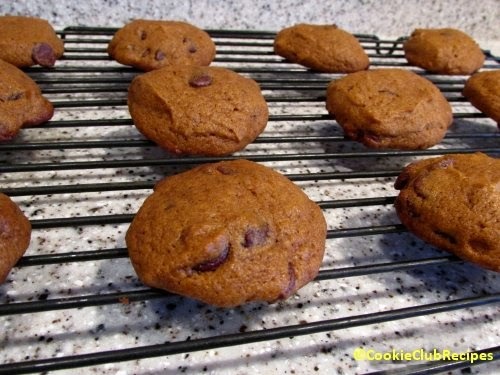 Editor's Note: You could easily substitute other ingredients for the chocolate chips, I would suggest raisins or chopped walnuts, or a combination of all three. The original recipe does not call for icing but I thought it would be pretty for the holidays. 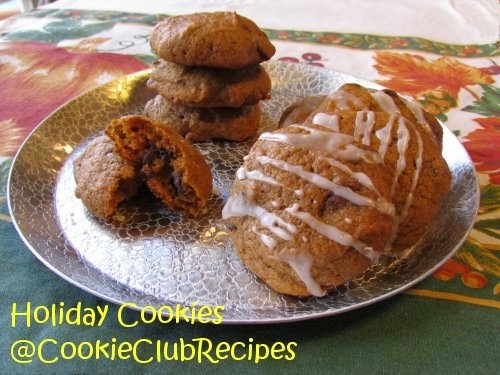 They are delicious either way and taste similar to pumpkin bread. YUM!! !